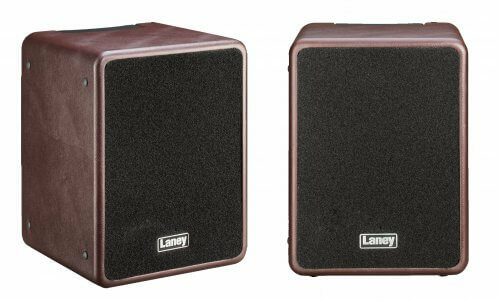 Laney has announced the release of three new amplifiers. Designed with the acoustic player in mind, these amps offer several great options. With a mixture of built-in effects, dual channels and battery power, they’re sure to excite acoustic players everywhere. The A1 combo is both compact and powerful. Designed for the acoustic player who needs versatility, the A1 is detailed and delicate, too. It delivers an exceptional amplified performance that rivals the tone and quality of the more renowned acoustic amplifiers on the market. Furthermore, the A1 gives you two independent, yet identical, instrument/mic channels. This lets you connect two instruments at once, which is perfect for jamming. Designed and engineered in the UK, this A-Fresco 2 delivers versatility, portability and reliability. It features a super-efficient dual mono Class D amp and a custom built dual-cone woofer that gives the user an articulate and transparent sound. Moreover, it can be used with either batteries or a power supply. Featuring two independent channels that can be engaged at the same time, and a powerful EQ, this amp is built with the acoustic player in mind. So, wherever you choose to perform you’ll know this guy has the resources to keep going as long as you need. Whether on stage or in the studio, the Laney A-SOLO provides a clean and clear amplified acoustic experience wherever you need it. It comes with two separate channel strips that are flexible enough to connect either a mic and another instrument, or two acoustic instruments. Or, blend a separate mic and pickup from the same instrument.